The series celebrates its 10th year this summer, and has gone from being a sparsely attended afterthought to averaging hundreds of filmgoers at each screening. Patrons are encouraged to bring their own seating, snacks and non-alcoholic beverages to the free event. Adult drinks are provided by local brewery KC Bier Co., which offers attendees two beers with admission. According to Courtney Lewis, who handles media relations for the library, the event was born out of a desire to provide the public with a social event that took advantage of the Central Library’s downtown locale. The film series has changed themes a number of times over its decade of operation – like showcasing all Paul Rudd films one year and Shakespeare-inspired films and remakes another. But the organizers hit on something in 2014, when they began to focus on music-themed films. The shift was the brainchild of Robert Butler — former film critic for the Kansas City Star — who became a part of the KCPL staff that year. Butler recognized that 2014 was the 30-year anniversary of an iconic set of films that became known for their soundtracks, and suggested that the library celebrate that anniversary by focusing on five films from 1984 – “Footloose,” “Breakin’,” “Purple Rain,” “Repo Man” and “Stop Making Sense”. The public response was overwhelming. 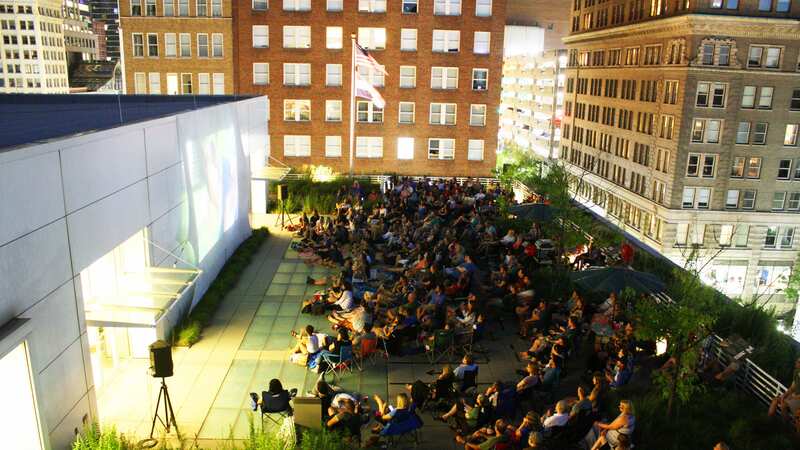 In fact, the screening of “Purple Rain” is still the event’s biggest draw to date – cramming about 360 filmgoers on the roof and coaxing many of the nearby condo residents onto their balconies to join the revelry. Amy Kuhnlein, Chair of Young Friends of the Kansas City Public Library, said the success of that year highlighted the power of music to establish a community among strangers. After the success of 2014, the library has largely stuck with the music-themed films. The selection process is a team effort – with the public affairs staff for the library whittling down the list to five films. And while choosing wildly popular films like “Grease” might seem like a no-brainer, Lewis said the team has instead tried to focus on lesser-known films in order to broaden the horizons of its patrons. Similarly, event organizers typically try to tie in the series with happenings around the library. For instance, this year’s summer reading campaign for the library encourages both kids and adults to “Rock & Read” – making this year’s mixtape theme apropos. But regardless of the motivation behind the selections. Lewis and the library staff have found that attendees typically walk away from these films with the same reverence and nostalgia that they get when they hear songs from their childhood. And it’s the music that makes all the difference. 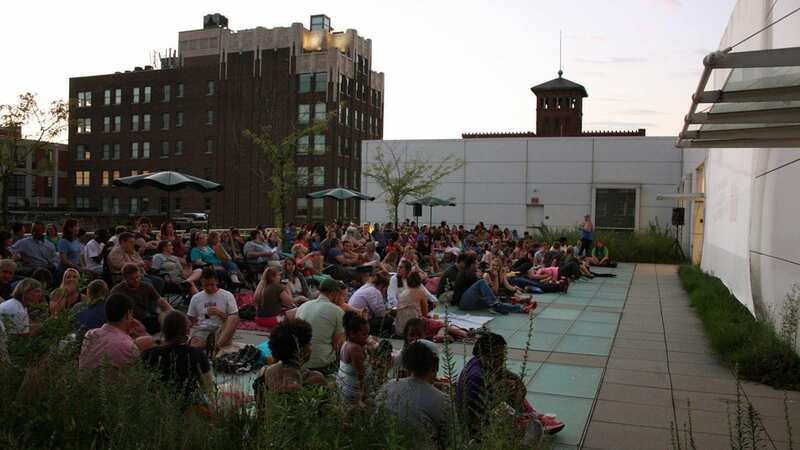 The Off-the-Wall Film Series takes place on third Fridays through September at the Central Library, 14 W 10th St. The screenings are free of charge with an RSVP on the series webpage.